As a certified Carrier Healthy Air Expert dealer, Zodiac Heating & Air Conditioning, Inc. is specially qualified to help you get a personalized indoor air quality solution for your specific needs, lifestyle, and budget. We are a Carrier Factory Authorized Dealer whose HVAC technicians are all North American Technician Excellence (NATE) certified and highly experienced. Our Healthy Air experts receive ongoing, specialized training direct from Carrier in the field of indoor air quality theory, products, and application. Additionally, we're a Building Performance Institute (BPI) Certified Professional, the leading U.S. organization that sets the standards for residential energy auditing and energy efficiency retrofitting. Over the last 32 years, we've served more than 10,000 satisfied clients in Van Nuys, Calabasas, Glendale, Pasadena, Simi Valley, Santa Monica, Burbank, and surrounding cities throughout the San Fernando Valley. Air filtration systems generally fall into three types: standard paper filters, cabinet or media filters, and electronic air cleaners. The paper filters are the simple, disposable filters that you'll often see sold at big box stores. Cabinet/media filters are pleated filters that attach to the furnace. They are capable of removing as much as 95% of the dust, pollen, dirt, and other particulates in the air. And finally, there are HEPA electronic air cleaners, which deliver hospital-grade air filtration. HEPA cleaning devices are freestanding units typically installed in the attic. They are capable of cleaning up to 100% of the air that is circulated indoors, which makes them ideal for those with health issues or concerns, such as allergies, asthma, or chronic emphysema. Once you put one of these in, the air in your home will essentially be hospital-grade quality. Not only do these three types of air filtration systems clean your indoor air, they also help to protect electronics and keep dust, dander, pollen and more from entering your HVAC equipment, which helps improve its performance, energy efficiency, and longevity. If you aren't sure which air filtration system will best suit your needs, give us a call today. 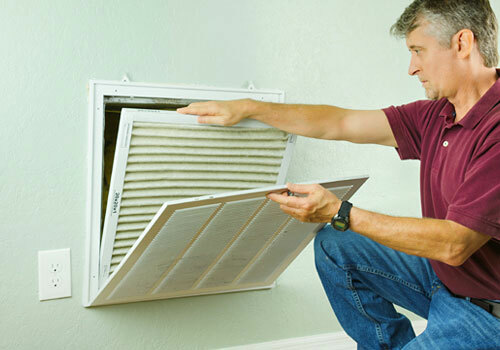 When you call, tell us that you are interested our air filtration services. One of our Healthy Air Experts will be happy to talk with you, review your air filtration options, and help you make a well-educated decision. We have served thousands of customers over the last 32 years and are known for our superior workmanship, customer service, and industry expertise. All Carrier air filtration systems are backed by a 5-year or 10-year written warranty.